Some smokers may have experienced feeling uneasy or feeling pain in the chest and lungs when they smoked. 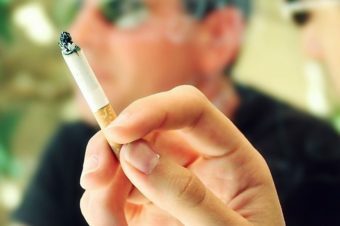 Long-term smoking is known to impose a great burden on the lungs and bronchi, causing inflammation in respiratory organs and sometimes causing pain. This time we will introduce what influence smoking has on lungs, one of the key diseases (COPD) it can cause, and how to deal with light chest pains while smoking. Tobacco contains many substances that are harmful or downright toxic to the human body. 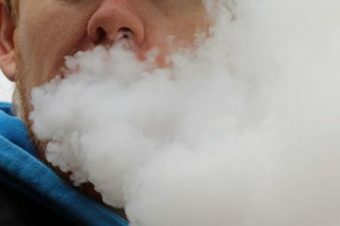 When tobacco burns, the smoke generated contains several thousand chemical substances, such as nicotine, tar, dioxin and arsenic, which are generally quite bad for the body. When people continue smoking, these harmful substances damage the bronchi (large airways carrying air to lungs) and alveoli (small air sacs in lungs that carry oxygen to blood), and inflammation gradually occurs. Generally, difference in breathing is not necessarily distinguishable from one day to the next, as smoking’s effect on the lungs is a very gradual process. However, after years of smoking, the alveoli are severely damaged and lung function is markedly reduced, leading to a drop in physical strength and even experiencing palpitations / shortness of breath. A typical example of a disease caused by tobacco is chronic obstructive pulmonary disease, or COPD. Symptoms of COPD are divided into the following four stages. Mild COPD or Stage 1: Mild COPD. Most people in this stage do not necessarily realize they have an issue, as they continue their daily activities without feeling much difference. Some people may notice a cough or that they have more phlegm. Moderate COPD or Stage 2: Moderate COPD. During this stage, most people notice more coughing and difficulty in breathing, with increased mucus production. People also tend at this stage to seek medical advice. Severe COPD or Stage 3: Severe emphysema. By this COPD stage, daily life is impacted to a great extent, as lung function is declining. People will likely have difficulty with exercise and may feel more fatigued. Very Severe COPD or Stage 4: Very severe or End-Stage COPD. People in this stage have low blood oxygen levels and may find that their quality of life is affected severely, with breathing issues now life-threatening. COPD is also known as a “smoking disease,” and now it is dangerous as a lifestyle disease of the lung. In many cases, COPD can be avoidable by quitting smoking at the earliest opportunity. 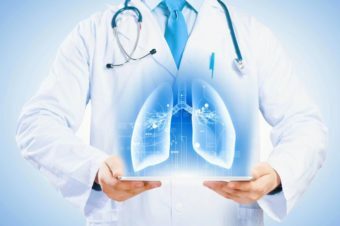 When you are a smoker and feel pain or discomfort different from dry air or a cold, you may need to be careful as there is a possibility that COPD may be lurking. Even if you are not in a position to go to see a doctor immediately, you should consider seeing a medical professional just in case, especially if symptoms worsen or persist. 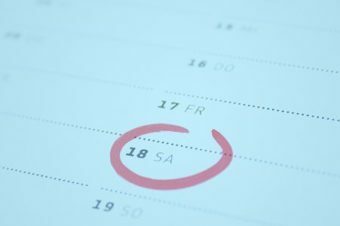 For minor cases, we have three simple tips that can be followed. 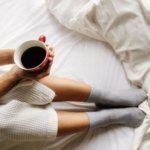 If you feel pain in your lungs, or if you have a degree of discomfort in your bones or muscles, pain may be relieved by applying something warm around the affected area. This can be something like a blanket or heating pad. Especially during cold weather, it is important to keep the body warm to promote immunity. However, if you feel short of breath, be sure to relax and not overexert yourself. When feeling not only pain but also breathlessness, try applying a cushion or a pillow to your back and bring your upper body 30 to 60 degrees and rest. By taking this posture, the diaphragm naturally spreads and can allow you to breathe more easily, so the sense of oppression on the chest can be alleviated. If you experience coughing spells or if the cough persists, having a cup of coffee may help. Immediately after drinking coffee, the trachea spreads for a while and breathing may become somewhat easier. 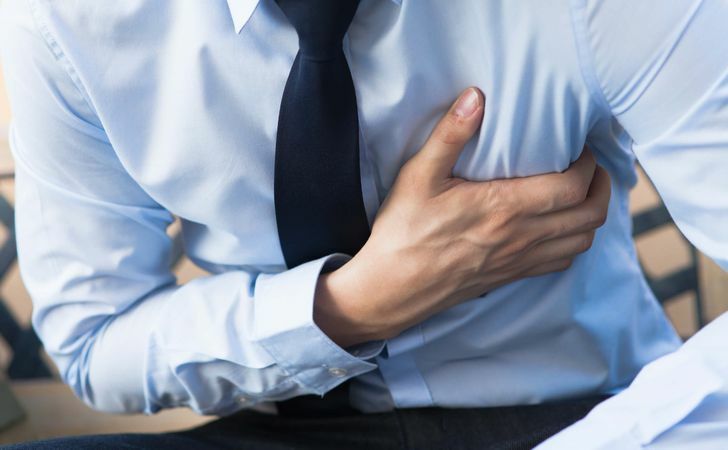 When you feel fatigue accumulating, portions of your body starting to feel cold, or chest pains worsening, you may have a more advanced condition, so by all means go consult your doctor. 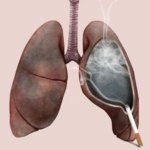 The impact of tobacco on the lungs and bronchi is not a sudden hit, but as you continue to smoke your health is virtually guaranteed to deteriorate over time. Pain in the lungs and bronchi is nothing short of your body emitting an SOS. 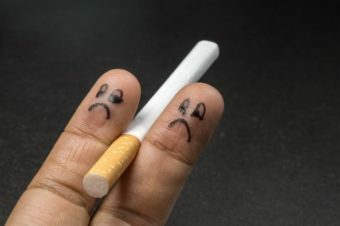 Looking for ways to cut down on and ultimately quit smoking may just save your life.